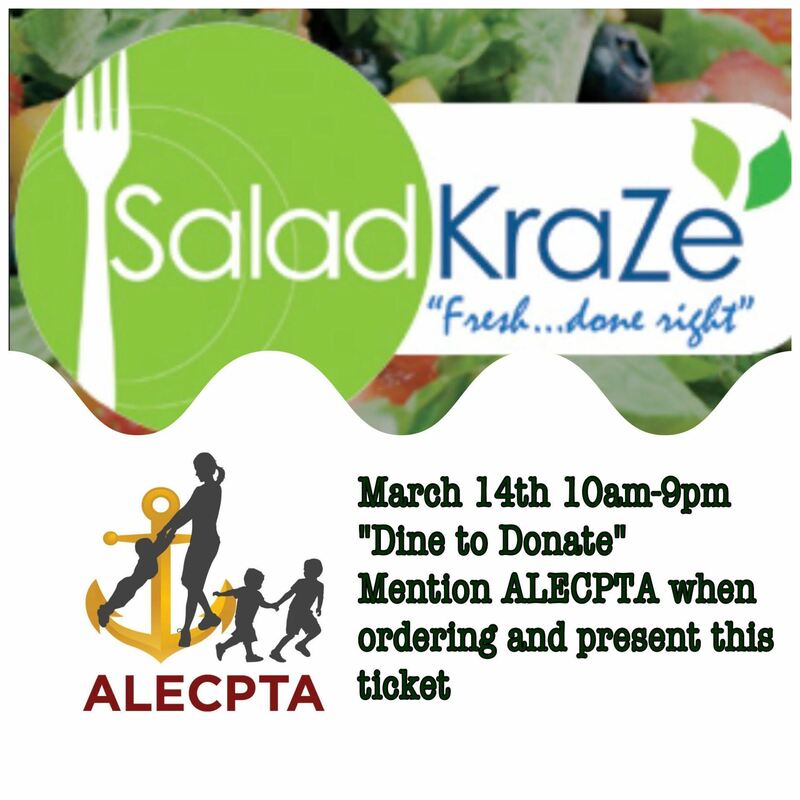 Please join us on Wednesday, March 14th 10am-9pm at Salad Kraze in Avon Lake for our "Dine-Out" Fundraiser! Bring in this flyer, show it on your smartphone or let them know you are dining to donate for ALECPTA! Salad Kraze will donate 20% of the proceeds to the Avon Lake Early Childhood PTA.